Lately I've been trying to get out of my comfort zone a bit more. I'm pretty happy and comfortable working in a studio where everything is under my control, but getting outside of it can be a little nerve-racking, compromises have to be made, things MacGyvered (ok, that part's fun), etc. I'm forced to think about things differently and I have different things to work with though, things that can help push me to be a better photographer all around. 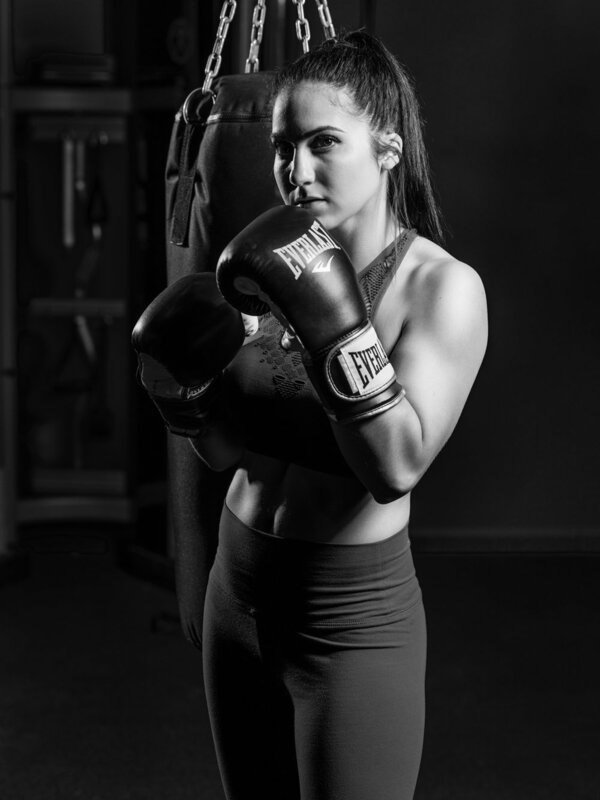 When Nicole suggested a boxing themed shoot it seemed like the perfect chance to do just that. Her gym, No Holds Boxing and Fitness in West Virginia was available and her trainer Keith could be there as well and was open having his photos done too. Overall, I had a blast, Keith's a fantastic guy, Nicole's always fun, and they both look like badasses.